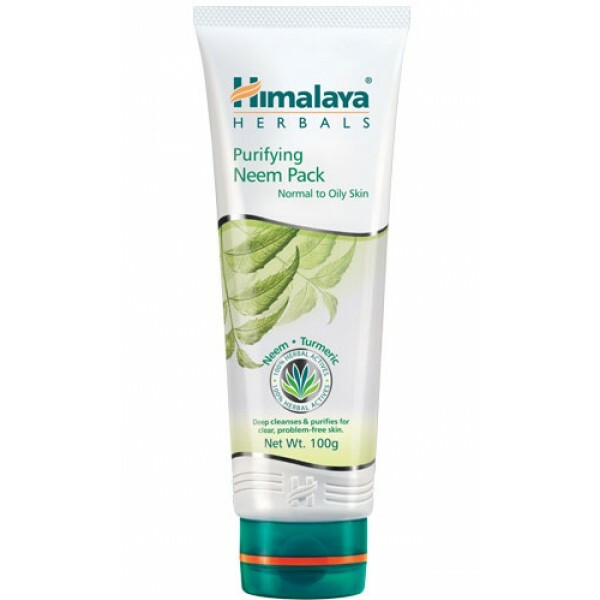 Himalaya's Purifying Neem Pack brings together the goodness of Neem, Fuller's Earth and Turmeric, which work together to regulate excess oil secretion, clean clogged pores and prevent the recurrence of pimples. Fuller's Earth is an excellent cleanser. It removes deep-seated dirt and skin pollutants. Apply Purifying Neem Pack evenly over cleansed face and neck, avoiding the area around the eyes and mouth. Let the mask dry for 10-15 minutes, and remove with a wet sponge or towel. Rinse with cool water. For optimal results, use once a week.